Koreans consume twice as many Jeju tangerines as they consume apples. Due to the high concentration of bioactive substances and vitamins, Jeju tangerines were long used for herbal medicines to enhance bodily functions and safeguarded Koreans from numerous diseases. Jeju - with an average temperature of fifteen degrees celsius - provides the perfect environment for tangerine cultivation and the island is established as the nation’s center for tangerine production. According to the historical records of the ancient Korean state of Goryeo, Jeju even then provided the bulk of the tangerine crop throughout the entire nation. However, tangerine production was systematized and officially promoted during the Joseon Dynasty, between the 13th and 19th centuries. Jeju tangerines were presented to the royal family every fall and winter and forty stations were established to control tangerine production and consumption. Even the peel and seeds were sun-dried and processed for use in oriental medicine. 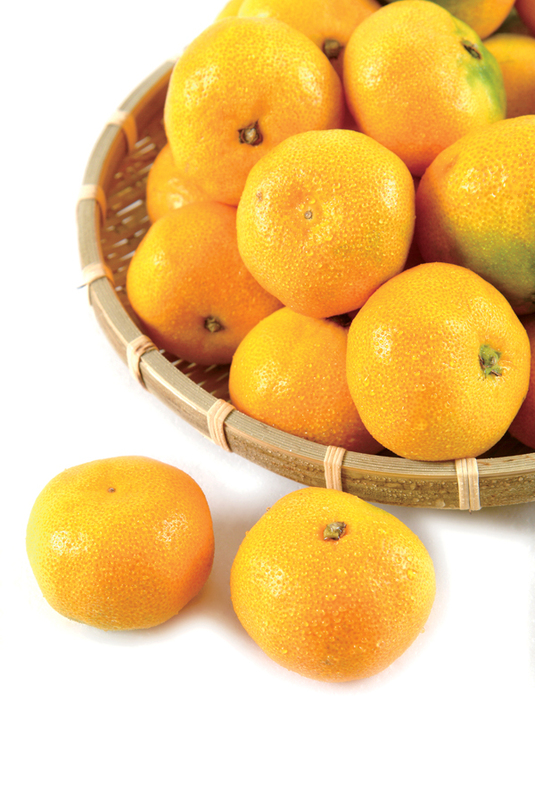 Jeju tangerines became more available to commoners during the Japanese colonial era, when the colonists brought a new breed of tangerine tree to Seogwipo for cultivation. 17th century Joseon medical book, Dong-yi-bo-gam, specifically highlights the positive health benefits of Jeju tangerines, including, but not limited to, treating coughs and scurvy, in addition to preventing several minor ailments, such as colds. Recent research regarding the tangerine’s bioactive compounds and nutrients further reinforces its renown as a Korean health food. ▶ Prevention of arteriosclerosis: a component called pyridine that produces the tangerine’s bitter taste prevents arteriosclerosis, a leading cause of heart disease and stroke. ▶ Prevention of obesity: enzymes in Jeju tangerines increase the body’s natural metabolism. ▶ Prevention of lifestyle diseases: the xanthophylls abundant in Jeju tangerines combats degenerative diseases like cancer and diabetes by preventing oxidation of our body cells. 2 Slice tangerine peels and boil them. 3 Boil down peels and add fresh tangerines, with lemon juice, and sugar. 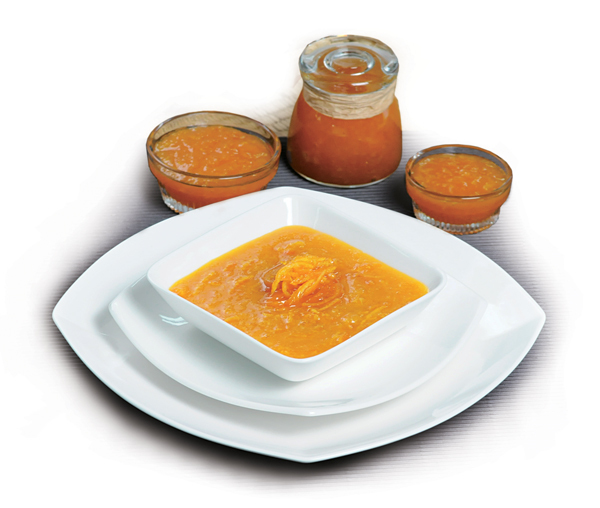 4 Put the marmalade mix in a sterilized bottle and store it in the refrigerator. Professor Oh Young Ju is a Hotel Food Management Professor at Jeju Halla College and an expert in traditional Jeju food.